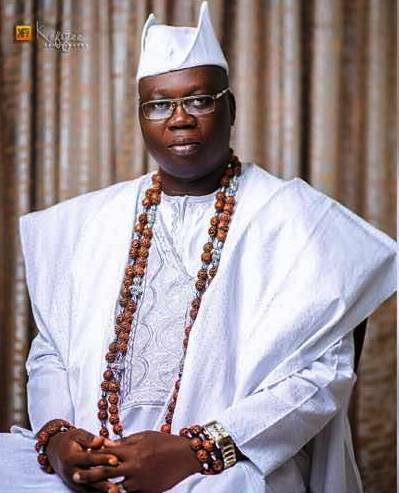 The final rites for the installation of Otunba Gani Adams as the 15th Aare Ona Kakanfo of Yorubaland would begin on Wednesday, January 10, 2018, reports ITRealms. Since he was designated as the Aare Ona Kakanfo in 2017 by the Alaafin of Oyo, Iku Baba Yeye, Oba Lamidi Adeyemi II, Adams had been engaged in several processes that will lead to his installation on January 13, 2018 at Durbar Stadium, Oyo, Oyo State. Also on the schedule of programme for the installation is a press conference to be addressed by the Oyo State Government to unveil the details of the installation ceremony on Saturday and provide guests and users of the ever-busy Ibadan-Oyo-Ogbomoso Road with traffic diversion and parking arrangements. Among the several dignitaries expected at the ceremony are the Vice President, Prof. Yemi Osinbajo (SAN); the President of the Senate, Dr. Abubakar Bukola Saraki; the Speaker, House of Representatives, Rt. Hon. Yakubu Dogara; and the Ooni of Ife, Oonirisa Enitan Adeyeye Ogunwusi. Also expected are Obas of the six South West States and those of Yoruba speaking areas of Kogi and Kwara States; captains of industry; and the Diplomatic Corps in Nigeria and representatives of foreign governments. Adams, ITRealms reports, succeeds late business mogul, Chief Moshood Kashimawo Olawale Abiola, as Aare Ona Kakanfo, having been appointed was made by Oba Adeyemi on October 16, 2017. Already, at the last count, ITRealms gathered that Adams has over 52 chieftaincy titles.